It was my last night with my baby in Levi. 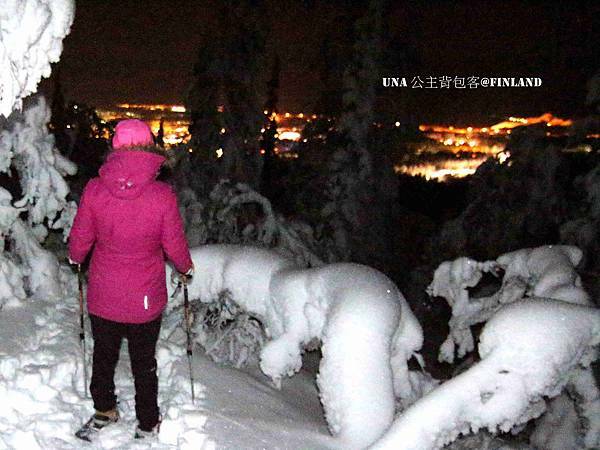 Levi Tourist Office arranged the snowshoeing night tour. 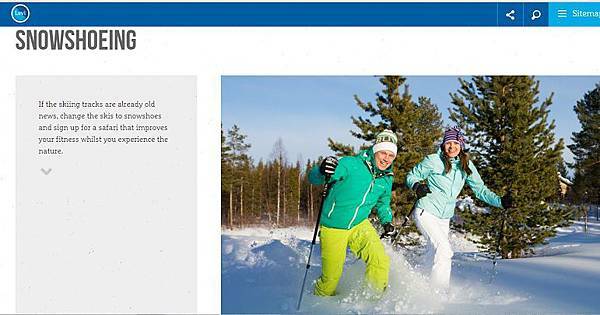 I'm still remember wanting to try this activity when I searched the snowshoeing activity. Levi Tourist office made my dream come true again. Lapin Luontoelamys company picked us up in front of the Levi Tourist Office at 19:00. 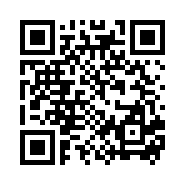 Participation fee: 70 € /person, children under 12 years 35 €/child. The fee includes snowshoes, poles, gaiters, catering, hot drink, sausage and guidance. The guide speaks English and Finnish. It takes approx. 2.5 hours. 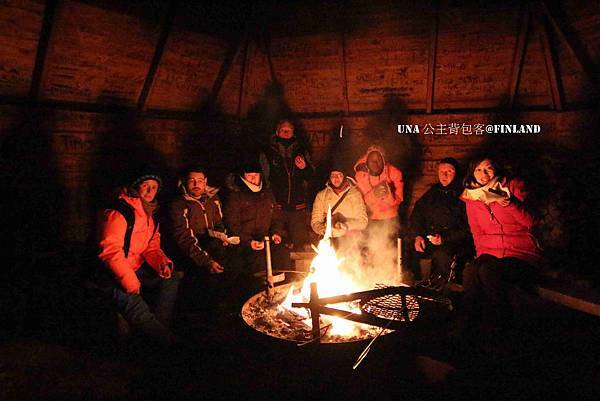 You need to bring the wind- and waterproof clothing, gloves, warm hat, shoes suitable for trekking. Reservation on previous day by 6 p.m. raiski@levi.fi or +358 40 716 3033. You also can book your tour in the Levi Tourist Office. Group size: at least 4 people. There were 6 people included me in the night tour to Levi. The van took us to the Levi summit. We wore the snowshoes and took the poles then started the snowshoeing night tour. It was my first time to wear the snowshoes. It was a little big and you needed to put your shoes in the snowshoes. Remembering to tie it up then walk. It makes you much easier to walk on the snow. We climbed upwards for a bit after we had equipment. Everyone walked a little faster than me. I walked slowly, because I was concerned with my pregnancy. I couldn't see very well in the night. I was thinking that maybe I should bring my headlight, it would make me feel safe. 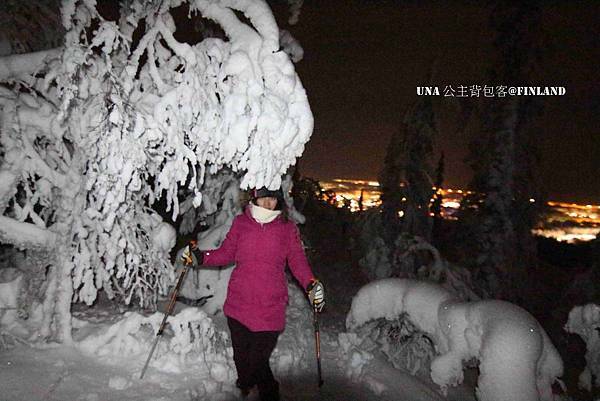 I was excited to do the snowshoeing hiking in the night. We need to climb upward and walked down the slope and we went through the forest. It was a real adventure for my baby Aurora and me. The tour guide asked us to followed his steps to keep us safe. I was a little bit tired. It is a good exercise when you wore the snowshoes climb the mountain. It was especially easy to get tired in my condition. On the way down we visited a Lapp hut. 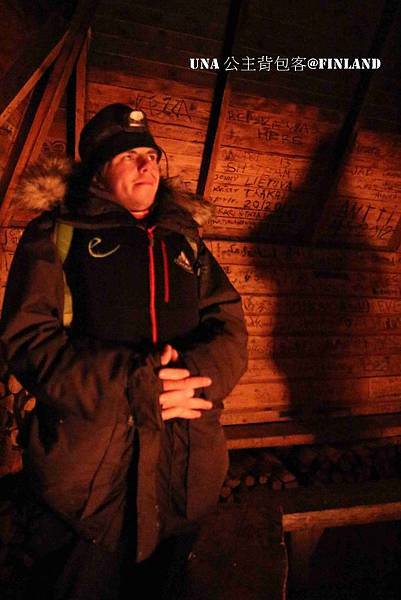 You need to take off the snowshoes once you enter the Lapp hut, otherwise you will slip. There were 2 staff members there to welcome us. 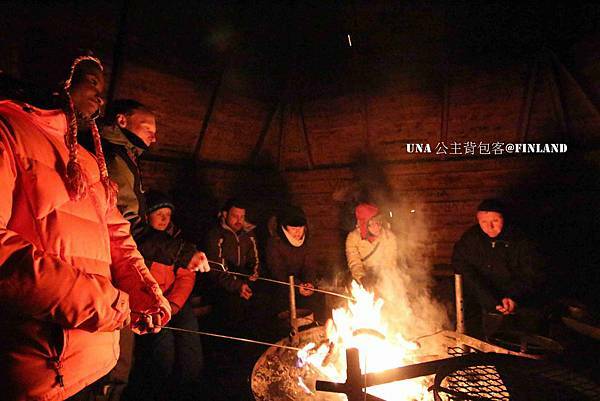 They prepared the open fire, hot drinks and self-grilled sausages. I felt so warm. I was happy to enjoy my drink and self-grilled sausage. 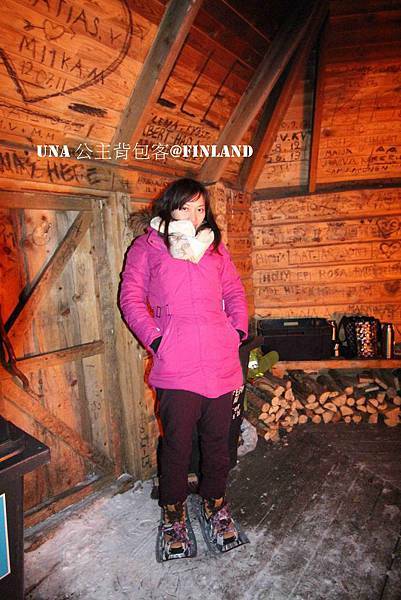 It is the Finland traditional treat in such excursions. We had a group photo. There was an African girl who was working there. I admired her for working here, because she was from a tropical country. 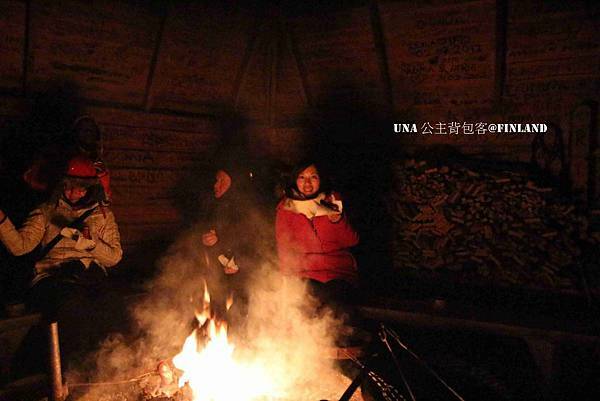 Everyone enjoyed the open fire and listened to the stories about Lappish life and culture. After getting warm in the hut we headed outside to continue our snowshoes hiking. We enjoyed the Levi nocturnal view. It was a little bit exciting we couldn't see the route very well and we went through the forest. Sometimes we slipped in the snow. 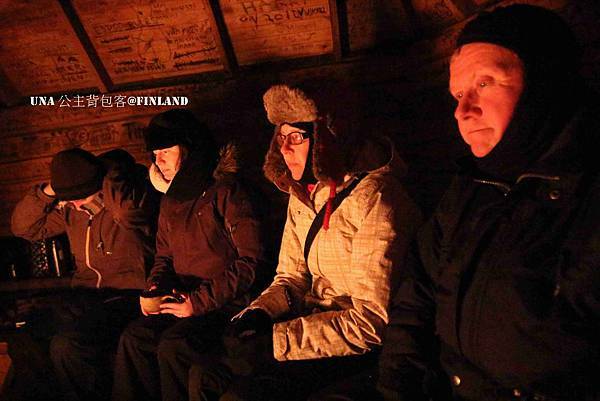 If you are lucky, you will see the northern lights during the night tour. We were not lucky on that night. Snowshoeing is a great way to experience Levi, Finland. I'm highly recommended this activity. You can choose to do the snowshoeing tour in the day or the night . You will have totally different experience. The walk itself was a lot of fun, just I worried about my baby so I couldn't enjoy it very well. Lapin Luontoelamys company staff were very kind and nice. They took me back to the hotel. I didn't have much of a chance to take many photos on this trip. This video will let you understand more about the snowshoeing tour. You will see the different view from the top of the Levi summit. Thanks Levi Tourist Office arranged me the snowshoeing night tour in Levi. My baby Aurora and I had a fantastic experience to explore the Levi night by snowshoes. Thanks Levi Tourist Office made a such a great trip in Levi. I live in a great hotel, enjoyed the husky safari, snowshoeing night tour, visited the ice gallery and the igloo and had a great dining. I enjoyed the Arctic Circle Levi, Finland. Here is a such beautiful place to go. Thanks Levi Tourist Office staff were so enthusiastic and professional to organize my tour in Levi. The Finnish were very nice and friendly here. Defiantly I would love to come back with my baby Aurora to enjoy Levi again. 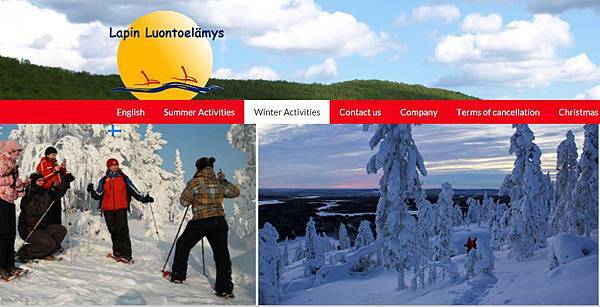 You can find the Levi tourist information and book your Huskies safari tour or other activities in Levi on this website. Kittilä airport (IATA: KTT, ICAO: EFKT) is some ten south from Levi. Airport has direct connections to Helsinki by Finnair and (during season) Blue1 and to Riga by Air Baltic. Busses coming from south travel via airport to Levi. You may also use taxi. Overnight trains operate from Helsinki and Turku to Rovaniemi and Kolari (getting from Turku to Kolari require change in Tampere). From these you have to take bus. Trip takes 2.5 hours from Rovaniemi and 1hour and 15 mins from Kolari. Busses operate from Helsinki to Levi requiring change in Rovaniemi. Trip takes over 16 hours!